What inspired The Siblings Trouble? 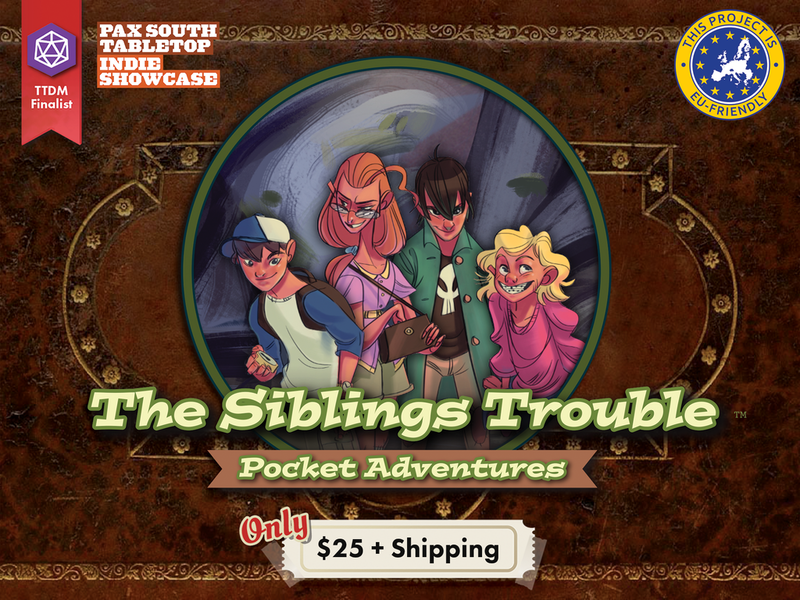 The Siblings Trouble was inspired by the nostalgia for being a kid and going on an adventure. What mysterious things did you find in your backyard as a kid? One of the coolest things I ever found near my backyard was a gigantic piece of rose granite about the size of a bowling ball. That was awesome. You have a 15 year background in making video games. What design aspects or approaches, if any, were you able to bring to tabletop games? Are there elements of tabletop design you are able to carry over into video game design? Ultimately, the best training you can have to make something is to make stuff. In video games, I spent 15 years making complex stuff with lots of people. You learn so much from doing things a to z it is hard to quantify. For me, it is less about design and more about the ability to be a producer and put together a project. – The game is for people who like telling stories. People who are nostalgic for childhood. – The game is filler for core role-players. Something different for Game night storytelling, or introducing your kids to playing characters. What do you want people to get from or a take away from The Siblings Trouble? Honestly, I hope people have fun telling stories and touching their childhood again. For kids, I hope they enjoy imagining themselves in the fantastic. It appears to be quite a bit different from Lift Off! Was that intentional? No, not really. They game from completely different inspirations. What was it like developing this on Tabletop Deathmatch? Well, the game wasn’t developed on Tabletop Deathmatch, that was more about experiencing what is like to be on reality TV. It was strange and wonderful experience. What was strange and wonderful about it? What experiences did you bring to The Siblings Trouble from developing and funding Lift Off? Good question, as far as the actual game development there wasn’t a whole lot, but now that I’m running another Kcikstarter a TON. 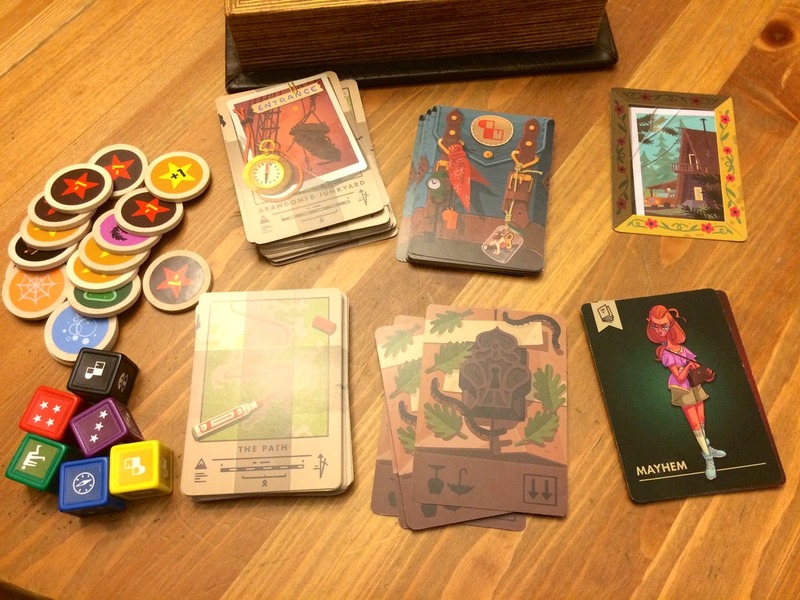 Your first Kickstarter is a massive learning experience. It is actually super cool to be able to leverage that again. What qualities or skills do you feel help someone to be an effective producer and/or designer? What are your hopes for The Siblings Trouble? I hope we can fund and people can play. I hope they enjoy themselves and share with others. Where can people find out more information? How can they help? What do you like about storytelling in games? The experience of walking into another world. There is something different when you are pretending to be the character. This entry was posted in Interviews and tagged board games, boardgames, Ed Baraf, Edo, Kickstarter, Lift Off, Siblings Trouble. Bookmark the permalink.